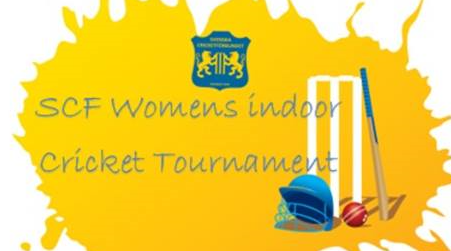 If you would like to play for the Stockholm Cricket Club in the SCF's indoor cricket competition for women contact . The tournament will be held on 23-Feb. The games will be 6-a-side and take approximately 40 minutes for both innings, the rules can be found on the SCF website. It does not cost anything to participate, and everyone that participates will recieve a team shirt.